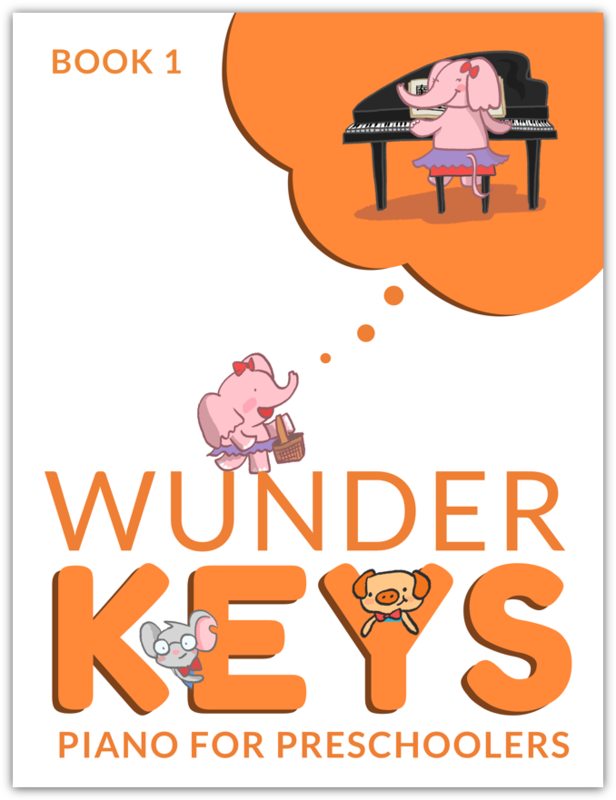 The WunderKeys Piano for Preschoolers method books take young children (ages 3 to 5) on a magical journey where they acquire the piano skills, keyboard awareness, and rhythmic understanding needed for a successful future at the piano. Designed for a one-on-one lesson setting, Book 1 encourages exploration of the piano in ways that are accessible and appropriate for this age group. All lessons are geared toward having young children understand everything they will need to know before learning to read notated music. Students will learn symbol-to-sound recognition, practice finger independence and coordination, improve aural awareness, play long sounds and short sounds on black keys, play high sounds and low sounds on black keys, play sounds moving higher and lower, and learn math skills to assist musical understanding.